KITSEN Formwork and Scaffolding Technology Co.,Ltd. is specialized in R&D and manufacturing high quality formwork and scaffolding systems. Established in 1995, KITSEN occupies a total area of 180,000㎡, including 120,000 ㎡of workshop , equipped with 800 employees and technicians. Annual production capacity reaches 1,000,00㎡formwork and 800,000 pcs shoring. KITSEN established marketing oversea offices are located in Hong Kong, Malaysia and Australia etc. KITSEN key products include aluminum formwork, self-climbing scaffolding system, decking and slab formwork, wall and colomn formwork, ring-lock scaffolding, aluminum scaffolding tower, folding mobile scaffolding, frame scaffolding, shoring system, prop, ladder, plank and other construction products. With rapid development, KITSEN is certified with ISO9001-2008 International Quality System, TUV/GS, IIW International Welding institute. KTISEN has attained two Patents for formwork and scaffolding in France & Germany, two Invention Patents in China, 48 Utility Model Patents and over a hundred of Product Design Patents. KITSEN is also awarded as China Scaffolding Center, Member of SIA American Scaffolding Association and Outstanding Supplier for China Nuclear Power Station Project. As a result of quality product and reputations, KITSEN has established long-term co-operations with many world known companies and partners from Europe, US, Asia, Australia and Africa market. In China market, KITSEN initially started collaboration with Vanke and launch the 1st Aluminum Formwork system into China market. This started a new era for Aluminum Formwork market. Due to these accomplishments, KITSEN becomes the Optimal Partner for China Leading Construction Companies. In the field of Low Carbon Formwork and Scaffolding, KITSEN has become Pioneering Enterprises with large-scale production lines, profound engineering capabilities and numerous successful project cases. 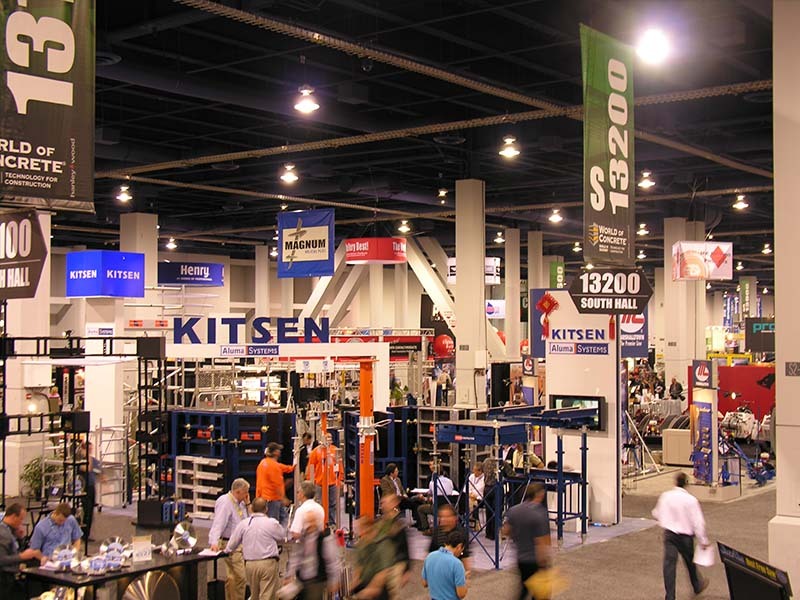 KITSEN is not only delivering formwork and scaffolding products, but also devoted to providing customers one-stop solution from construction planning, calculation to practical solutions with good economic values. Now KITSEN has opened a new page in a complete construction solutions provider, herein called 1+N Integrated Solutions. Quality is a major concern for construction industry. With comprehensive knowledge of scaffolding and formwork manufacturing as well as application, KITSEN QC team is implementing stringent quality system from incoming material, in-process control till final finished goods before shipment. By using ERP advanced management system, the entire production process are strictly monitored for accuracy to ensure quality is up to the Customer’s standards and that all deliveries are just on time. To the future, KITSEN will continue its effort and provide quality products and services, create values for customers and help customers succeed.